Okay. My title for this entry might be a little too much. Of course, there will be a lot of people who won’t agree. But I’m not paid to write about it nor I care about other people’s opinions. Basta, I like “Black Swan.” It made it to the top of my Favorite Movies of 2010 list just hours before we say hello to 2011. What a nice film to cap off the year. It’s superbly beautiful and brilliant. I came across “Black Swan” during my short stint as an online writer. It debuted as opening film at the 67th Venice Film Festival last September, and since then, director Darren Aronofsky (“The Wrestler”) has been reaping praises left and right together with lead star Natalie Portman. Playing a supporting role, Mila Kunis, is being praised as well. “Black Swan” is categorized as a psychological thriller and is about ballet. See, I love ballet. The dance just mesmerizes me. I can be caught with my mouth wide open watching a ballet performance. Ballerinas and danseurs impress me so much. And so a psychological thriller about ballet would surely be something for me to be excited about. 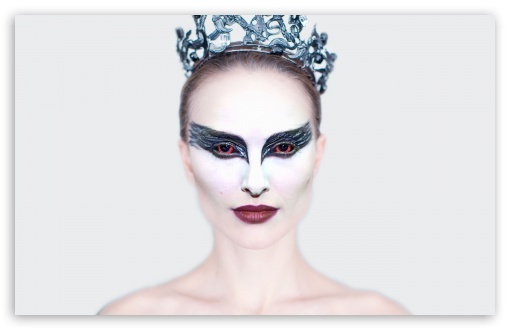 “Black Swan” is about Nina, played brilliantly by Natalie Portman. Nina is a ballerina who dances for a New York ballet company. The company is staging a new version of Tchaikovsky’s Swan Lake. The story of “Swan Lake” (at least their version) goes like this. There’s a beautiful girl who is turned into a white swan by an evil sorcerer. Only the love of a prince will break the curse. Unfortunately for the White Swan, the prince falls for the Black Swan. In the end the White Swan kills herself. When Nina is chosen by the artistic director Thomas Leroy (as played by Vincent Cassel, who awfully reminded me of Glee’s Will Schuester) to replace the company’s retiring prima ballerina named Beth (Winona Ryder) for the role of the Swan Queen, the stunning, but very timid, Nina realizes she is finally reaching her dreams. Actually, her and her mom’s dreams. Her overbearing mom, Erica (Barbara Hershey), was once a ballerina herself, but she gave up her career when she had Nina. The mother and daughter has made ballet their world. “Black Swan” gives us a good picture of what this world looks like. From the norms of breaking, scratching and stabbing a delicate new pair of ballet shoes just to make it more bearable to dance in, to how everyone wants to be the prima ballerina, to its dark side that is surrounded by jealousy, sexuality and desperation for perfection. While Nina flawlessly carries the role of the White Swan, she struggles to perfect the dance of the Black Swan, a role that requires her to be more sensual and bold. The pressure and tension overcome her and the film introduces us to this dark and dangerous Nina, who becomes more disturbing as the newbie Lily (Mila Kunis) threatens to steal the attention of Thomas and also the role of Swan Queen from her. Applause for the cast in this movie. Bravo to Natalie Portman’s stunning performance of a delicate and eerily alarming ballerina. Mila Kunis also deserves a bravo for her role as a somewhat promiscuous ballerina. I never thought ballerinas could be playful. One thing I find funny in the movie, too, is when Nina’s mom brings in a humongous square cake to celebrate Nina’s Swan Queen role. Nagtampo ‘yung mom and she threatens to just dump the cake into the trash bin when Nina refuses to eat a huge slice of it. Naman, teh, eh ang laki ng cake, dalawa lang kayo! But despite those petty stuff, I’m still giving “Black Swan” a 9. I wasn’t disappointed, all right. The plot is simple, no complications (there’s Google if you happened to be lost in the story). “Black Swan” is the story of Nina who wants everything to be perfect whatever it takes. Even if she must whore her way around it and be at the verge of a full mental breakdown, everything should be perfect. Well, she actually got it all perfect in the end, in fairness to her. It is indeed a performance of a lifetime for her. She was stunning, beautiful, brilliant and perfectly dead. This entry was posted in Spud Times and tagged Barbara Hershey, Black Swan, Darren Aronofsky, Mila Kunis, Natalie Portman, Nina Sayers, Vincent Cassel, Winona Ryder. Bookmark the permalink. You’ve got some interesting things to say about Black Swan. And cool blog. I’ve got one, too, if you ever want to visit (http://videovampire.wordpress.com/).